Highly sensitive people respond more strongly than the majority of the population to physical and emotional stimuli. The signs of high sensitivity are apparent from birth -- babies react disproportionately to loud noises, bright lights and chaotic surroundings, and children demonstrate an intuitive awareness of how other people feel and a tendency to take things personally. These traits can challenge working adults, but they also suit highly sensitive people particularly well for some careers. Highly sensitive people are vividly aware of their surroundings, and they process information slowly and thoroughly. Combined, these two characteristics often make them deeply creative. Writers, artists, interior designers, actors and musicians all draw on their senses to create their work, then focus their attention intensely on what they are creating to make it as complete and expressive as possible. Highly sensitive people are able to access and analyze their perceptions on intuitive or intellectual levels more easily than other people, which gives them an innate ability in the arts. An intuitive awareness of the feelings of the people around them gives highly sensitive people a natural talent for counseling, spiritual leadership, therapy, interpreting and infant care. They tend to communicate carefully and gently, making them good at diplomacy, mental healthcare and educating special needs children. Any job that involves working with the misunderstood, the underrepresented or the personally confused is likely to be a good fit for highly sensitive people, particularly if the job involves one-on-one interaction rather than group moderation. Busy environments and close supervision can be overwhelming for highly sensitive people. They tend to be very meticulous and methodical, and they have a difficult time receiving criticism without becoming upset. Because of these traits, highly sensitive people are often happy working at home, working individually or running their own businesses. These career paths allow them to work on their own schedule, take their time processing information, be their own critics and structure their own environments. Because of the way in which highly sensitive people process information, they are often well-suited to jobs that require data analysis, memorization or slow, careful work. In contrast to the skills that make them good artists, these skills may lead them to jobs in programming, market analysis, accounting or personal assistance. Combined with their intuitive skills, highly sensitive people's analytical skills and patience for study and practice may also make them choose careers in medicine or law. 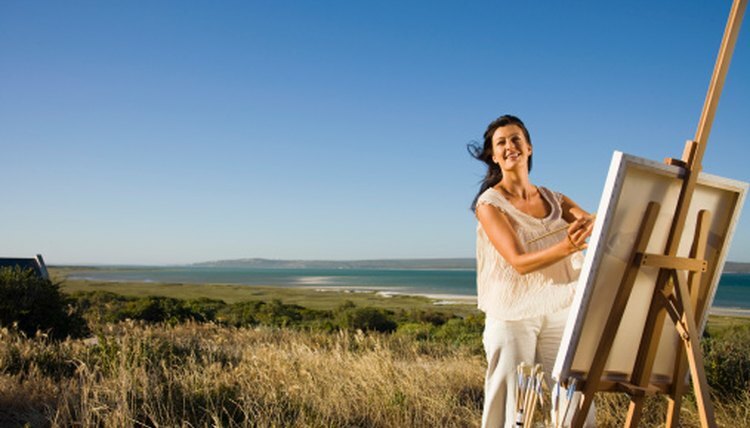 Which Careers Are Related to Art Therapy? What Personality Types Become Sociologists? Mitchell, Stephanie. "Career Choices for Highly Sensitive People." , https://careertrend.com/info-8598734-career-choices-highly-sensitive-people.html. 05 July 2017.